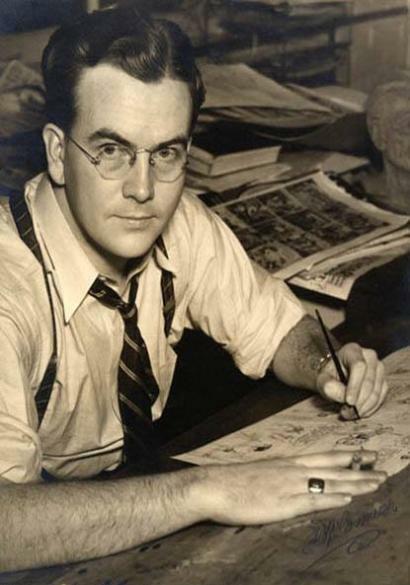 One of my favorite comic artists was born on May 2, 1922 in Yonkers, New York., and even though Doug Wildey had no formal art training, he was inspired by three of the greatest cartoonists in the field, Harold Foster, Alex Raymond, and Milton Caniff. 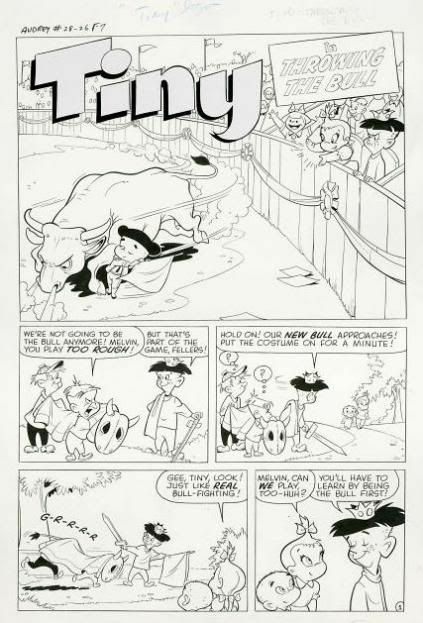 His desire to draw surfaced early on, when Wildey started producing cartoons for his army company's newspaper while serving in W.W.II After the war, his first professional job was drawing the western hero, Buffalo Bill, and other various pulp illustrations for Street and Smith Publications in the late forties. 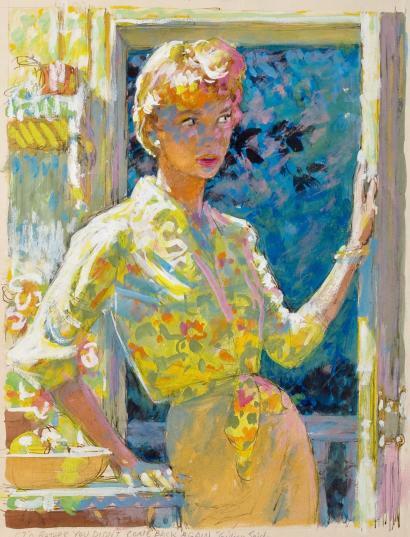 Wildey's detailed illustrative style, even though heavily influenced by many photo references was a natural for any realistic situation, locals, or characters. 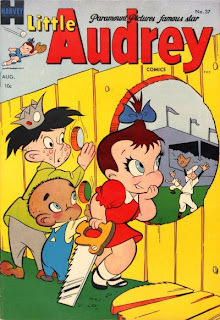 Apparently the editors of other comic publishers liked Wildey's clean style too, as he freelanced the next ten years with companies including National, Dell, Levi Gleason, Cross, Master, St. John, Youthful, and others. Doug's love for drawing Western material lead him to illustrate many television and movie favorites including Lash LaRue and Hopalong Cassidy for Fawcett Publications. 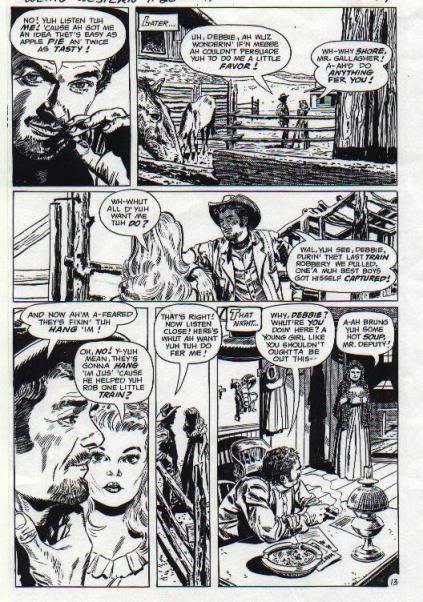 The artist also had a fantastic series of issues with Atlas Comics from 1954 thru 1957 drawing The Outlaw Kid. 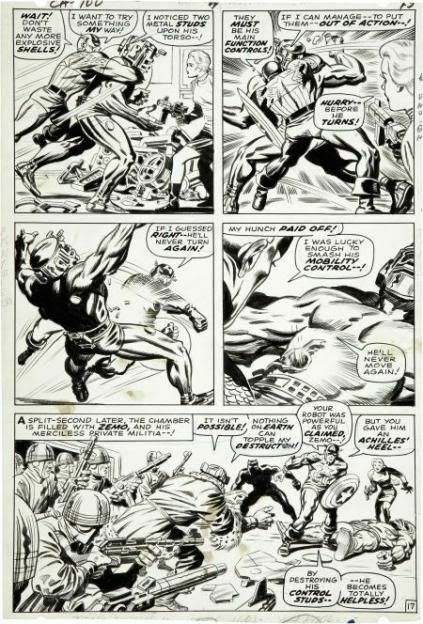 Atlas' successor, Marvel Comics was so pleased with his early stories, that the company resurrected the title in the mid-seventies and reprinted Wildey's complete run of adventures. 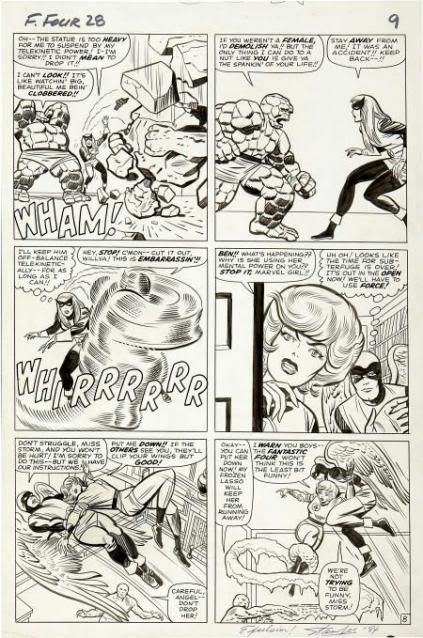 When the editor's later tried to introduce a new artist on the title, the fans requested more Wildey tales, so "The House of Ideas" just ended up reprinting the old stories once more. 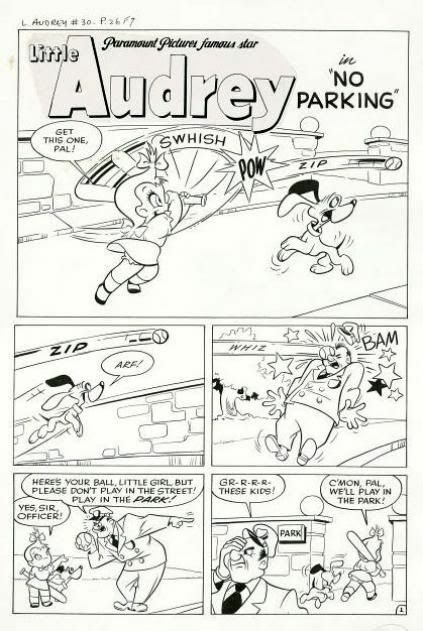 A man of many artistic talents, Wildey then took over the syndicated strip The Saint from Bob Lubbers in 1959 and drew it in Lubbers' style for many months before developing his own unique look to the feature. The Saint's new image, now with a hip goatee beard, over time developed into the prototype for another creation, the future Dr. Benton Quest. 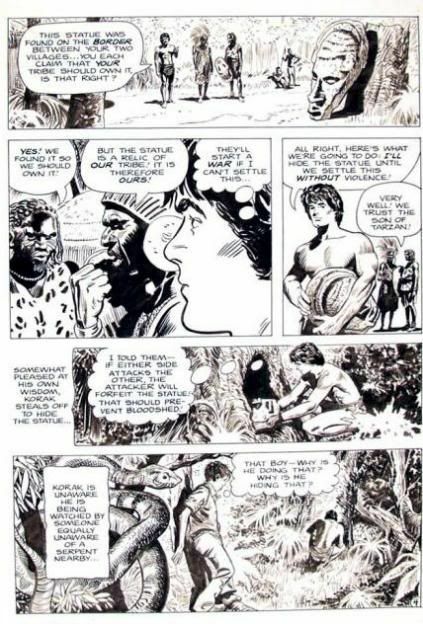 Later, one can start to see the foundations of Race and Jonny were also in development when Wildey pitched his own Sunday strip about an international race car driver named Stretch Bannon and his boy mechanic, but unfortunately the strip never caught on with any syndicate. 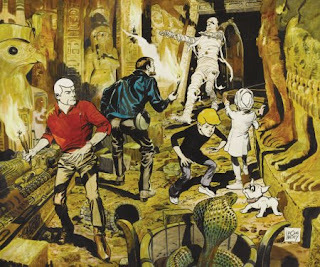 In the early sixties, Doug then joined Hanna-Barbara Studios and created the first prime time animated television program, and his most famous creation, Jonny Quest. All his best ideas and inspirations of his prior years in comics surfaced in this exciting new adventure series. 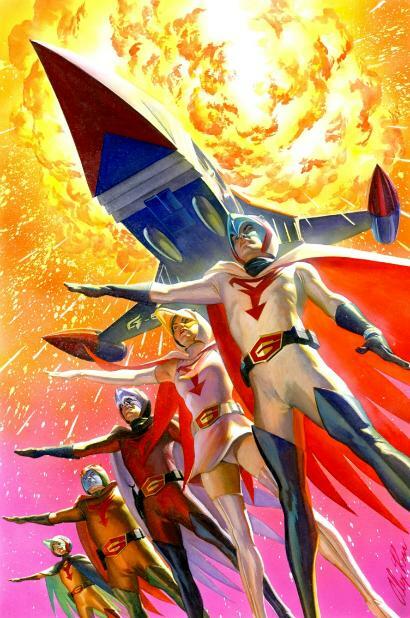 The show has played in syndication for decades, sparked a new television sequal, and inspired many artists in the comic field. 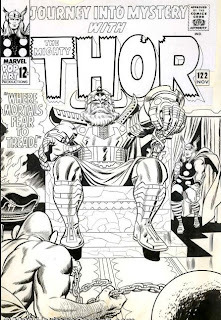 Wildey did other work for the small screen, including art direction, layouts, and design work for Marvel characters such as The Fantastic Four , The Submariner and other Hanna-Barbara's properties, The Herculoids, Space Angel, and caveman hero, Mighty Mightor. 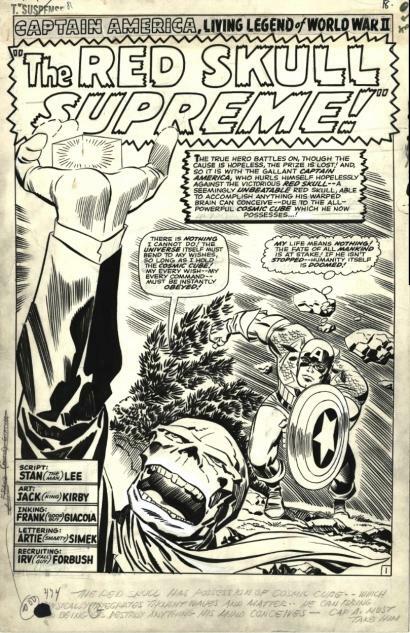 While pursuing his TV assignments, Wildey also drew three years of Tarzan of the Apes for Gold Key and their companion jungle book, Korak, Son of Tarzan. 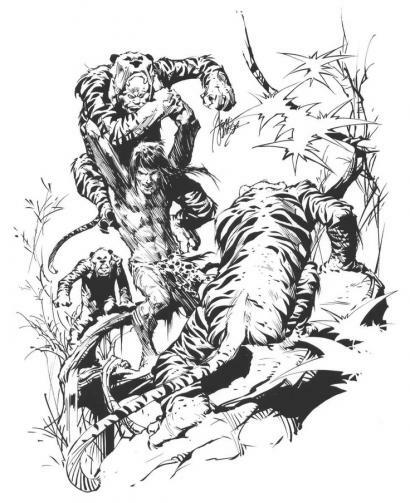 Though his style was not as sophisticated as his later work, it still had a charming rough quality that made these Edgar Rice Burroughs stories work very well. 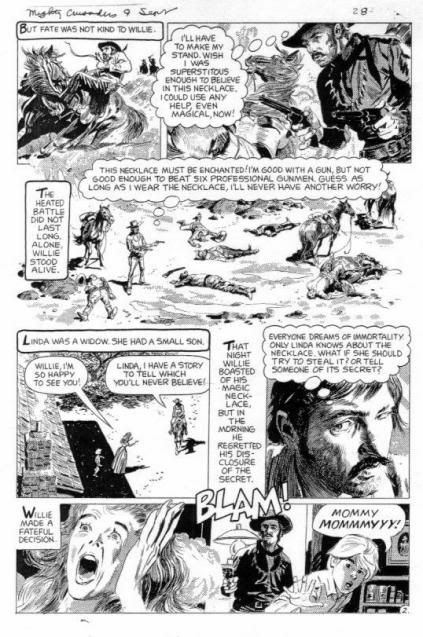 Wildey in his spare time also perfected his western storytelling technique with an oversized series of characters and southwest scenes. In 1971 he produced a portfolio with twenty six illustrated drawings which was entitled, The Movie Cowboy, which was his best work to date in the genre but there was one great western character to come. 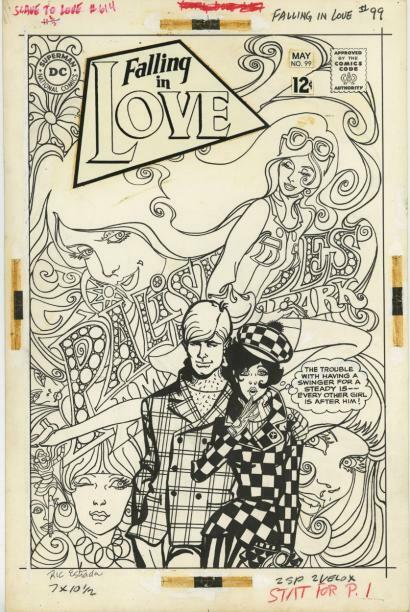 In 1972 Wildey went back to the strips creating a feature for the Chicago Tribune-New York News Syndicate. Ambler was the story of a young folk singer's and his adventures while traveling across America. 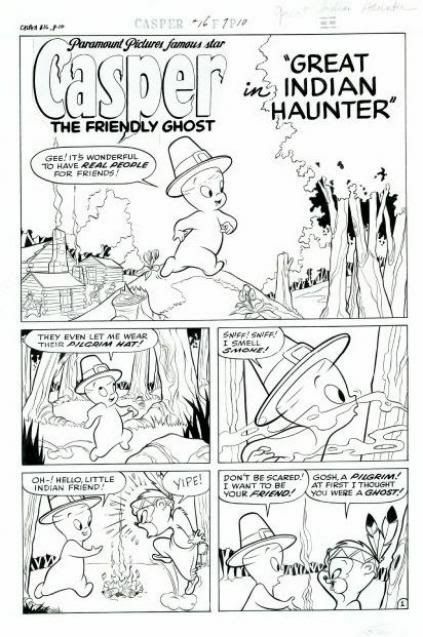 Despite the fact that the strip had great graphics, a solid story line, and a loyal fan following, it only survived two short years. 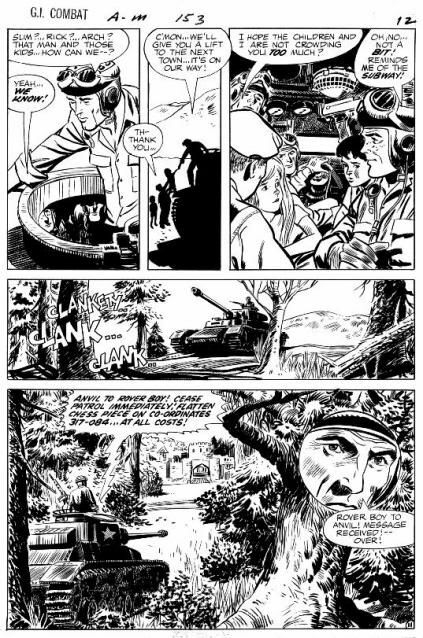 When Doug's last strip attempt folded, the artist returned to comics with the western book Kid Cody for Atlas/Seaboard Publications, horror stories in Madhouse for Red Circle, and some splendid detailed war yarns in G.I. Combat, Sgt.Rock, Blackhawk, and Star Spangled War Stories for DC. 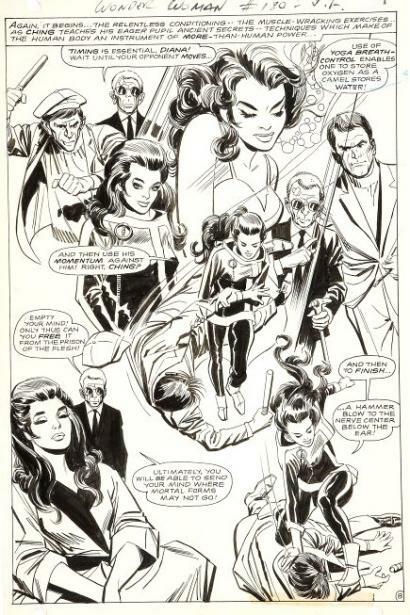 While contributing to National's House of Secrets, and Jonah Hex, Doug also created the sly detective feature Eddie Race for Kubert's oversized two issue slick magazine, Sojourn. Wildey's ultra realistic style was always in demand for any horror, war, mystery, romance, or western stories. 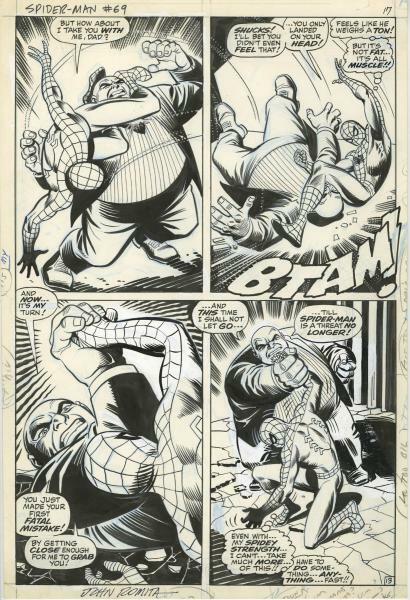 Never one to piecemeal his work out, all his pages were penciled and inked by Wildey himself. Many artists seem to produce their best quality work early on, later losing their inspiration and motivation for what they create. 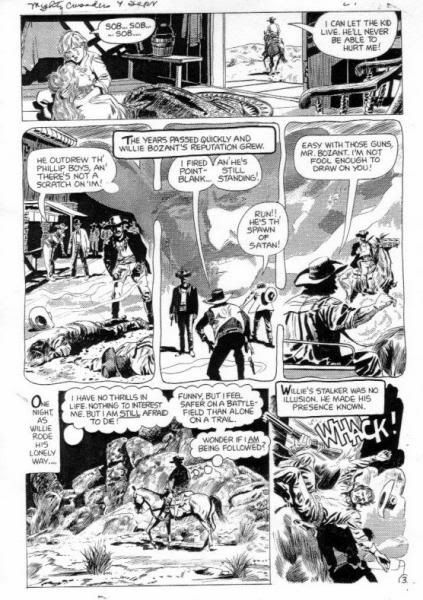 Doug Wildey though in my opinion was just the opposite, producing his greatest art work at the end of his career, and I would even dare to say that his last western stories were also superior because it was his favorite subject matter both in the comics and his own personal paintings. Rio, the ex-gunfighter was his most famous western creation produced for Comico, and was later featured in Eclipse, Dark Horse, and finally Marvel Comics. 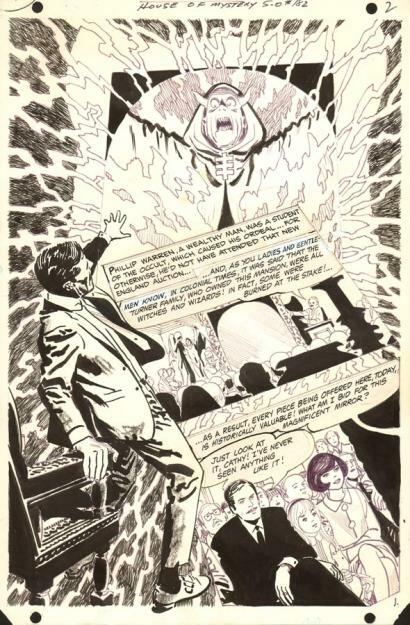 I was lucky enough to spend a little time with Doug Wildey and his wife, Ellen, years ago in Dallas. He spoke of Jonny Quest and his dislike for that little dog Bandit that the producers forced him to include in the show. Doug talked of The Rocketeer and how at a recent comic show he must have autographed as many comics as Dave Stevens since the character of Peevy was inspired and loosely based on him. He spoke of his travels across the American southwest, western films, oil painting, and his overall love of the West. It was a real pleasure to meet one of my favorite artists and talk with him about his long career before his passing in Las Vegas, Nevada in 1994. He was once quiet gentleman that will be missed by us all.